John Coltrane's Lush Life album was the first jazz album I ever heard. I was 19 and had a dubbed cassette tape copy that I played until the tape wore thin. 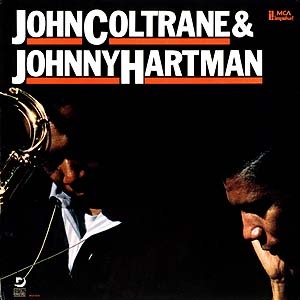 Only years later, after I married my jazz loving husband, did I hear the recording of "Lush Life" featuring Coltrane on tenor sax and and Johnny Hartman on vocals. Whoa! Vocals? Lyrics? Until then, I didn't know the song had lyrics. Because the instrumental version is etched on my brainpan, every time I hear Johnny Hartman singing, I'm a little startled. It always feels to me that the lyrics were added later, like color added to a classic black-and-white movie. Which may be why I now focus so hard on the lyrics when I hear the song. There's a whole novel in there. A whole novel of lost romance, Paris, booze, good times, and sad living. Jazz as literature. to get the feel of life – from jazz and cocktails. with distingué traces that used to be there. was tinged with the sadness of a great love for me. I'll live a lush life in some small dive. whose lives are lonely too. Don't know much about jazz, but those are very nice lyrics.